As one of 6 siblings, Makda’s parents conveyed the power of education to their children as a way to break out of poverty. 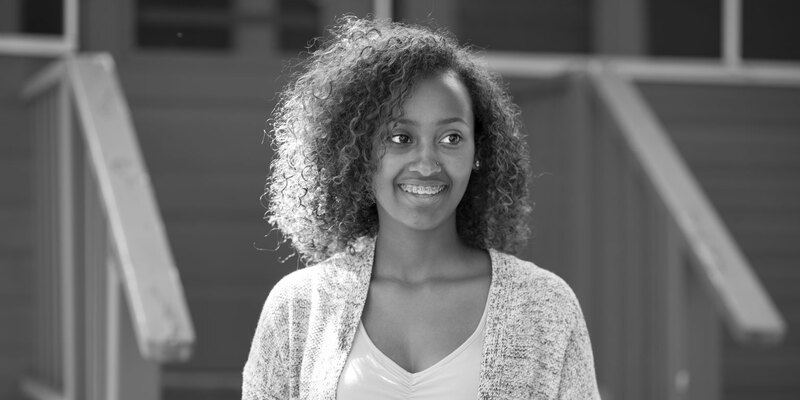 Makda says: “I see how the lack of education can significantly impact opportunities, as my mother had no formal education growing up in Ethiopia, which limits her to labor-intensive jobs in America. I hope to pave the way for students filled with aspirations, but limited resources.” For two years in a row, Makda was selected for the Academic Excellence award, given by faculty to students who demonstrate academic curiosity and aspire to be a learner. Makda cares deeply about helping others. She mentored students at the local elementary school to gain skills in advanced leadership, participated in mission service trips during breaks from school, and held an internship with a food justice nonprofit to provide healthy and affordable options in a local “food desert” community.